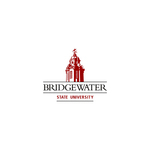 Bridgewater State University Wind Ensemble. (2017). Bridgewater State University Wind Ensemble (November 2, 2017). BSU Department of Music Student Concerts and Recitals. Concert #123.